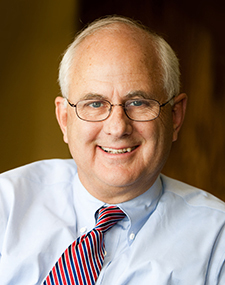 Douglas D. Anderson is the Dean of the Jon M. Huntsman School of Business at Utah State University and the Jon M. Huntsman Presidential Professor of Leadership. During 2016 he was Visiting Professor of Business Administration at Harvard Business School. There he taught the required, first-year MBA course in Leadership and Corporate Accountability. Anderson’s academic career started at Harvard University where he taught the introductory course in economics to Harvard College undergraduates while finishing his Ph.D. in political economy and government. He joined the Harvard Business School faculty in 1978. During the course of the next decade he taught in both the MBA and executive programs of HBS. In 1981 he interrupted his academic career to take a two-year leave of absence, serving first as Deputy Counselor to the Secretary, U.S. Treasury, and then as director of corporate development for Bendix Corporation, in Southfield, Michigan. When Bendix failed in an attempt to take over the Martin Marietta Corporation and was instead taken over by Allied Corporation, Anderson was named Executive Secretary of the Allied/Bendix Joint Merger Management Task Force. In 1987 he left Harvard to start a consulting firm, the Center for Executive Development (CED) with three other, former Harvard Business School professors. CED quickly established itself as the leading firm in the market for custom corporate executive education, with clients primarily drawn from the Global 2000. He served as managing partner of CED for the next 25 years, serving as the lead partner on many client service teams and working at the intersection of strategy, leadership, and change. A partial list of his clients included the following: AT&T, General Electric, Johnson & Johnson, Lucent Technologies, Merrill Lynch, Florida Power & Light, PricewaterhouseCoopers, British Petroleum, Marsh, Random House, Reader’s Digest, Enterprise Rent-a-Car, United Technologies, and the United States Internal Revenue Service. He worked with Lee Iacocca when his company was hired by Chrysler. At the invitation of the senior partners of PriceWaterhouse-US and PriceWaterhouse-Europe, he served as outside chairman of the partnership’s Task Force on Governance. In 2006 he stepped down from day-to-day responsibility at CED to become dean of the College of Business at his alma mater, Utah State University (USU). The next year he was instrumental in securing a $25 million gift from Jon M. Huntsman for the college, which was renamed the Jon M. Huntsman School of Business, in his honor. Since then Anderson has led a dramatic transformation of the Huntsman School. A native of Utah, Dr. Anderson served as a member and vice chair of the USU Board of Trustees, as a board member of the USU Research Foundation, and as a member of the Old Main Society, prior to becoming dean. He has also represented the University on the board of the Utah Foundation for seven years. He is currently a member of the board of the Kem C. Gardner Institute of Policy. As a student at USU, he received the Robins Award, the University’s highest honor for “Achievement of the Year,” for his work as editor-in-chief of the campus newspaper. Dr. Anderson and his wife, Katherine (Wirthlin Cannon), are the parents of seven children and twenty-one grandchildren.